There are a lot of terrible headphones, which are often, but not always, dirt cheap, there are some seriously good headphones which are always madly expensive. 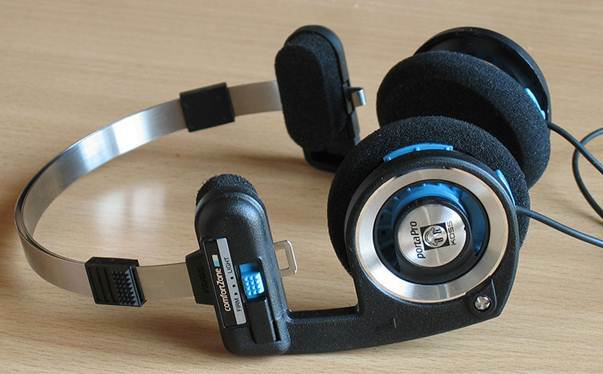 But then we have the Koss Porta Pro headphones, which are awesome and very inexpensive. Value for money at its finest. The design is functional with a lot of smart features and the sound is great. What's not to like? I've had mine for years and they've served me tremendously well and I figured that most people knew about them. But lately I've realized that not all people know about them, although they probably should. Maybe that is why I've experience other Koss Porta Pro owners giving me the insider's smirky smile, when I've worn mine while walking around town. The Koss Porta Pro has been around since the early 80s and they've remained relatively unchanged since then, but I guess it comes down to the old proverb "If it ain't broken..." This means that they could easily described as a design icon of some sorts.